Chabad of Stamford invites you to participate in the TENTH ANNUAL KOSHER SUPER BOWL BOX POOL! EVEN IF YOU ARE NOT A FOOTBALL FAN....YOU CAN PARTICIPATE IN THE FUN. What is the 10th ANNUAL KOSHER SUPER BOWL BOX POOL you ask? It is your typical Super Bowl Box Pool (100 boxes.....with the number 0-9 randomly placed on the top and side of the grid for both the TBD and TBD with winners determined by the end score of the 1st quarter, halftime, 3rd quarter and Final Score. 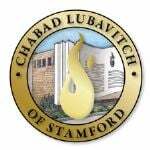 The cost per box will be $18 and will be a charitable donation with all of the proceeds being donated to "Chabad of Stamford" to help fund future fun community-wide events! 1st quarter — Two Free Weeks of Challah specially baked and donated by "Loaves of Love – Shabbat To Go Project"
Halftime — A Month of Challah specially baked and donated by " Loaves of Love - Shabbat To Go Project"
3rd quarter — Two Free Weeks of Challah specially baked and donated by "Loaves of Love – Shabbat To Go Project"
Final Score — Friday Night Shabbos Meal at the Shemtov's home (up to 5 additional guests) + Two Free Weeks of Challah + FREE ADMISSION for the whole family to " PURIM event" + A specially selected SINGLE MALT SCOTCH or WINE! If you know anyone else who might be interested, please pass this along. The numbers will be picked and distributed by Friday, February 1, 2019.